Everything else is just a shaker cup. 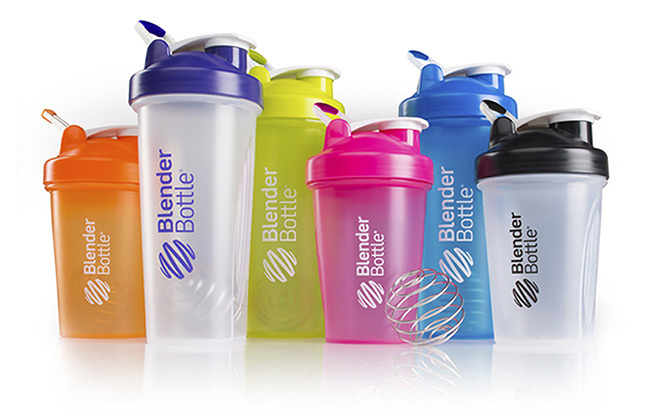 The BlenderBottle Classic revolutionized the industry back in 2004 with its leak-proof seal, iconic design, and the patented BlenderBall® wire whisk. Now, years later, it's still the best-selling shaker on the market. Why? Because it works. The patented BlenderBall® wire whisk—found only in BlenderBottle® brand shaker cups—delivers serious mixing power, putting the mesh grates in other shakers to shame. Simply add your ingredients, toss in the BlenderBall, and shake. 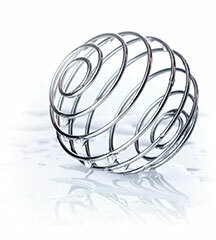 The BlenderBall whips around inside the bottle, mixing even the thickest ingredients to a smooth and light consistency. The 28 oz. capacity (to cup brim) is great for 8-20 oz. drinks, dressings, and other culinary uses. The 20 oz. capacity (to cup brim) is the perfect travel size and great for 4-12 oz. drinks. NOTE: Highest marking on the 20 Oz. 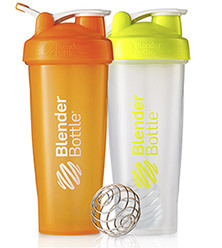 Blender Bottle® is 12 Oz. When FILLED TO THE BRIM this DOES equal 20 Oz.